Unwanted guests are never fun, especially when you can’t ask them to leave. Luckily, Saint Paul pest control companies have no problem kicking them out. Whether there’s a rodent in your basement or insects in the attic, call your local Saint Paul exterminator to take care of them — do not try to wrangle them out yourself! Not sure which type of home pest control service in Saint Paul, MN can tackle your issue? Read profiles and ask about their past experiences to get a good idea. PAFFY'S Pest Control is a locally owned and licensed pest management company that provides the residents and businesses of the seven county metro area and western Wisconsin , with high-quality extermination services for all manner of insects and other pests. The co-owner of Paffy's Pest Control, Duane Paffel, has over 25 years of experience in the industry, which means that you can be fully confident when requesting our services. Since we began in 1976, we have built our business by being on the cutting edge of what gets the best results. Dedicated to scientifically proven methods, we are continually educating ourselves in order to provide the most effective solutions to you. We have a commitment to ourselves and to our clients to do excellent work and deliver extraordinary service. We believe in ongoing improvement as we grow in the community. You can trust that you will get a truly environmental pest management company that uses primarily botanicals and naturally occurring products when you call us. 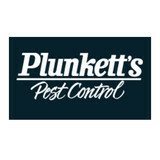 HomeWhy Plunkett’s WHY PLUNKETT’S plunketts pest control history WE’RE REALLY GOOD AT WHAT WE DO (And We Have Good People Doing It) What sets Plunkett’s apart? In short, our passion and the quality and training of our people. We are well known in the industry for training and keeping the best technicians. Our technicians are career professionals who take the meaning of their service function seriously. The sum and substance of our business are the people we employ to perform the service and the relationships they have with our clients. We get that and take it seriously. For over 100 years now, Plunkett’s people have diligently worked to eliminate pests from our clients’ homes, cabins, and businesses. As a longtime pest control provider, we know that earning and keeping our client’s trust is as important as taking care of their pests. Buggs Pest Control is a family owned and operated company servicing the Minneapolis and Saint Paul seven county metropolitan area. We have been providing high quality and dependable treatments in the community since 1992. Buggs Pest Control has respectfully earned a reputation for honesty and dependability unmatched in our industry. Call the experts at Buggs Pest Control for your free phone estimate. American Pest Solutions (formerly American Animal Control) is a company dedicated to providing excellent customer service promptly. Many of our customers have unique animal, bat, mole, insect or pest control problems so our wildlife removal and pest control services are customized to fit their needs. 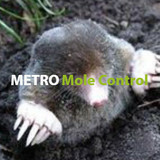 No animal removal, bat, mole, insect or pest control problem is too big or too small. We offer a wide range of customized services in wild animal removal, and pest control. Bear Pest Control specializes in the provision of a large range of pest control services. Our mission is to provide our customers with the most responsive, professional and innovative solutions available on the market today. Our team of experienced and qualified pest technicians respond to our customers' pest problems quickly, discreetly and efficiently. Suburban Wildlife Control Inc. is a family owned and locally operated company that has been in the pest removal business since 2000. We are licensed and insured. With 18 years of combined experience, we can provide you with prompt and effective mole, gopher, vole, and other pest removal services for your residential and commercial sites at competitive prices. We're a member of the Minnesota Department of Agriculture. Let our family keep your family safe with our comprehensive Minnesota pest and critter control services. In 1920 Hank Smith opened the doors of Smith Exterminating for business, offering the city of Minneapolis pest control services. Hank owned and operated Smith storefront, Minnesota Pest and critter control Exterminating until 1955. During those years, Hank opened the doors for H.V. Smith Co. a chemical compounder of soaps, waxes, disinfectants, insecticides and rodenticides. Robert Laughlin purchased the companies from Hank in 1955, and Robert owned and operated Smith until he sold the company to his son, Michael, in 1978. Michael assumed control of the company in 1978 and changed the name to Laughlin’s Pest Control Co., Inc. Mike has been at the helm ever since. In 1989, seeing the need to add services for nuisance animals, Laughlin’s acquired Critter Control of Minnesota. This division of Laughlin’s deals with wild animals that invade peoples homes, yards and businesses. Since 2007, Laughlin’s has added turf and ornamental, lawn maintenance, goose control and snow plowing services. We are proud of our service. We would be proud to serve you. M&M Pest Control Services is a reliable company that will pinpoint your pest problems and remove them efficiently. 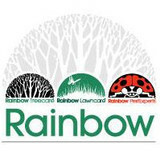 We are professional and honest and have high standards for our pest control team. We are a local company that works around the clock and responds fast to your call. We are skilled and knowledgeable through experience and training and will resolve your pest problem meticulously and thoroughly to the best of our ability. We are fully bilingual and will inform you about the infestation of your home, and the necessary steps we will take to eliminate the invaders. We are licensed in the state of Minnesota through the department of agriculture and use only the latest approved equipment and chemicals to ensure the safety of your family and household. We take pride in our professional and honest service, we offer our education, dedication and knowledge to keep pests out for good. We promise to be quick and efficient in the resolution of your pest problems with satisfaction guaranteed. 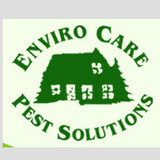 Locally owned and operated with over 42 years experience in solving residential insect and rodent pest infestations. Mouse exclusion specialists. Mice removal experts. Carpenter ant treatment without the destruction. Satisfaction guaranteed. Elite Pest Control, LLC prides itself on being the go-to choice for clients looking for Residential Pest Control, Commercial Pest Control and Bed Bug Removal services. Our business is our livelihood but it is also so much more. Elite Pest Control, LLC was started to fill in a void in the current market and to make a business that people can place their trust in. Over the years we have never lost our commitment to our clients and that is what has allowed us to succeed in a very competitive industry. The employees of Elite Pest Control, LLC stand committed to our purpose and will provide the best service! You need to get the pests out - today. Bob's Pest Control has the skills, tools, and experience to get your home pest-free as quick as possible. We'll get your life back to your normal, free of bugs. Are you tired of attacking ants in your kitchen every single day? Frustrated over your crawlspace or basement being too bug-laden to comfortably use? Our pest control experts will show those pests who's boss. You'll have every square inch of your property to yourself - for good. You can control a number of pests in or around your home. For your convenience, we offer complete exterminating services for a wide range of pests. Don't put up with the pests bugging you in your home.